Born in Rio de Janeiro, Mestre Tisza began Capoeira in 1981 with Mestre Garrincha and soon after started performing with folkloric groups. Tisza was part of the first female group in Brazil to perform at the National Capoeira Meeting in Rio de Janeiro (1984). It was the first time in world history that Capoeira Masters had seen women together doing everything in Capoeira: music, games , drums, and Maculele. Tisza started teaching Capoeira in 1987 and moved Europe in 1991 where she thought Capoeira in Paris and later Amsterdam. In 1992 she did the first Capoeira workshop in Bratislava, Slovakia, introducing Capoeira to the country for the first time at the National Dance and Theatre School. In 1993 Tisza moved to Boston (USA) and started teaching at MIT University. In August of 1994 she decided to move to NYC and practice Capoeira Angola with Mestre João Grande. 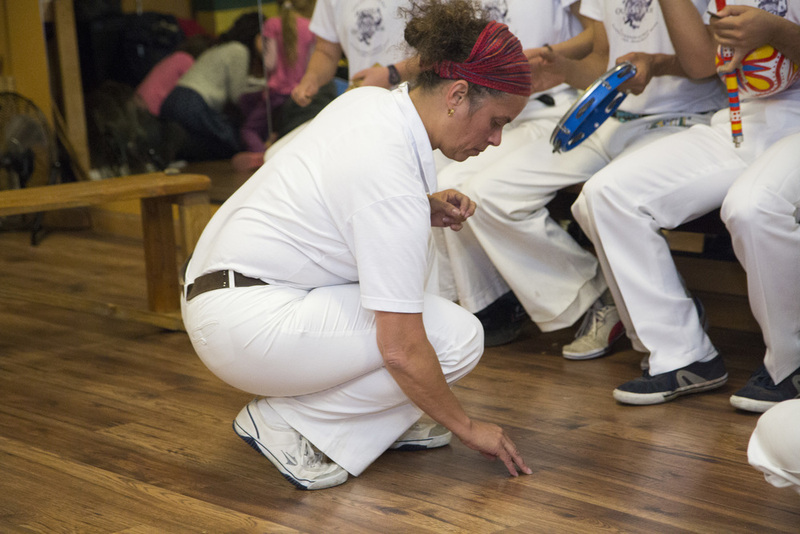 In the world of Capoeira Mestre Tisza is considered one of the few of the 1st generation of Capoeira women in Brazil and has dedicated her whole life to work with Capoeira. She now directs both the OuroVerde cultural farm and the Barracao D’Angola cultural center in Serra Grande Bahia Brazil, where he promotes Brazilian culture creation, presentation, education, and preservation. Twice a year Mestre Tisza organizes the international event called DanceBatukeira where she hosts practitioners and teachers from around the world. In the 23rd DanceBatukeira January 2015, Mestre Tisza graduated six Professors of Capoeira Angola. She now has representatives in five different locations including in Brazil, Mexico, and the United States.